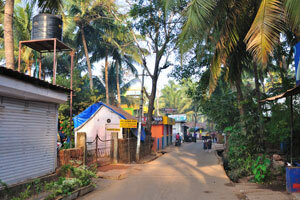 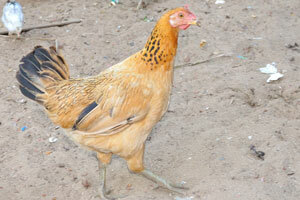 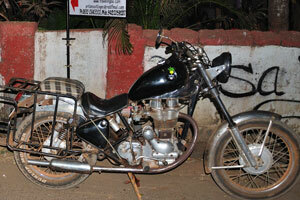 Latitude: 15°01' N, Longitude: 74°02' E.
From Margao to Palolem. 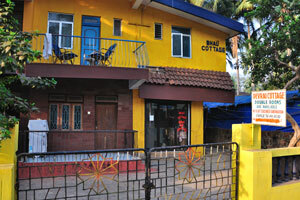 Further south on the coast (40 km from Margao via Cuncolim), Palolem has a beautiful curve of palm fringed golden sand beach, 2 km off the National Highway - the best beach by far. 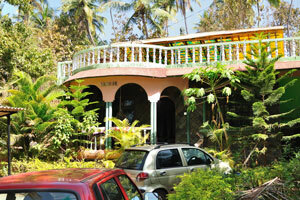 It is becoming increasingly popular as people search for the remaining unspoilt idyll and are travelling further to find one. 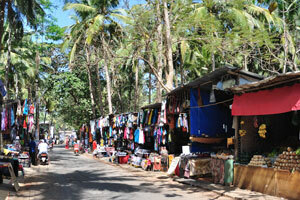 As a result Palolem is no longer a deserted bay but has a line of beach shacks serving food and drink in the season while the range of accommodation inreases with demand. 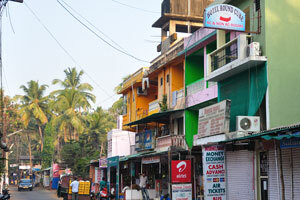 It does not have a bank so arrive with enough funds but the small Post Office in the village can arrange poste restante. 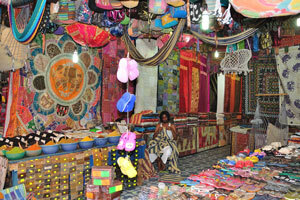 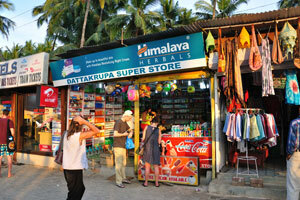 There is a good clothes shop near the Beach Resort; the friendly woman owner "is not pushy ... unlike some men"! 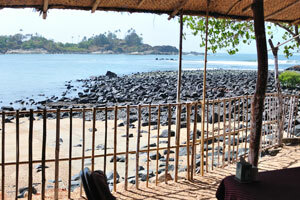 The fairly narrow strip of beach has rather strange rocky outcrops at each end which are locally referred to as 'Pandava's drums' and 'footprints'. 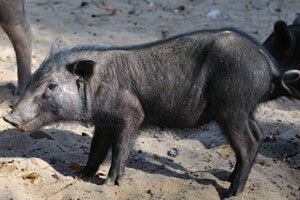 An added attraction here is the freshwater stream to the north, as well as the small Canacona Island (Kankon island) which can be reached by a short swim or by wading across at low tide. 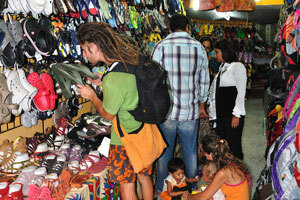 Nudism is not welcomed by the local people. 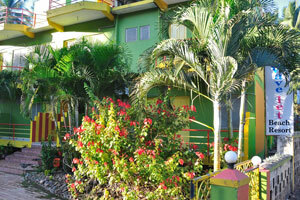 Dolphin watching and fishing trips are offered by fishermen; mornings between 0830-1230 best. 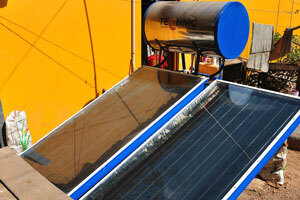 NB Take sun-block, shirt, hat and drinking water. 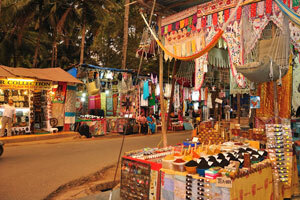 You may be able to see some dolphins from the headland to the south of Palolem, just before sunset. 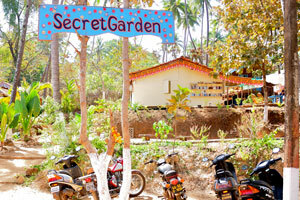 Many visitors just visit for the day, especially from beaches further north though two of Goa's most innovative 'hotels' have recently encouraged some to stay a while. 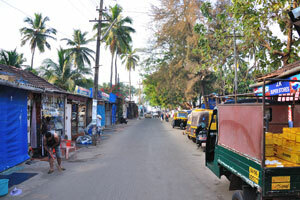 Road from NH-17 to Palolem bus station. 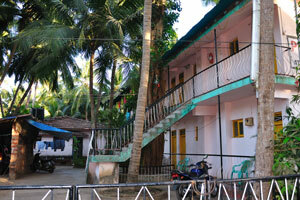 Hotel Round Cube, A/C & non A/C Rooms. 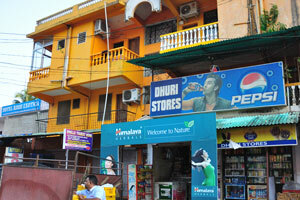 Dmello Tourist Home near Dhuri Stores. 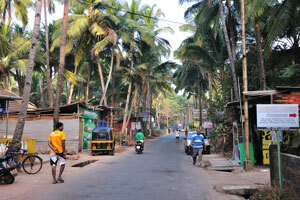 Village road view from Devrai Cottage. 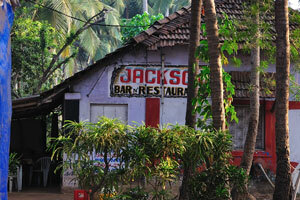 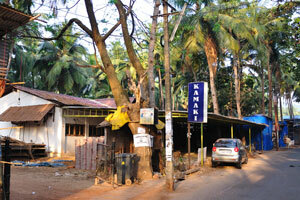 Bhau Cottage, rooms are available. 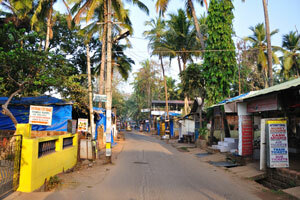 Palolem bus station in the morning hours is empty. 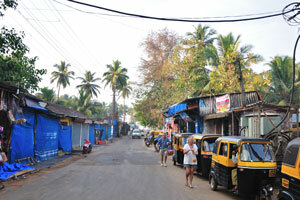 Auto rickshaws (tuk-tuks) on the Palolem bus station. 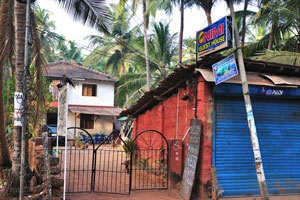 Adil Barber Shop, hair cutting saloon. 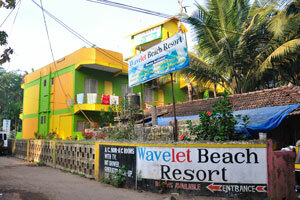 Wavelet Beach Resort, A/C and non-A/C rooms. 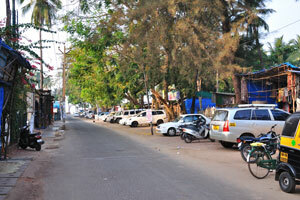 This is the road from the bus station to the main beach entrance. 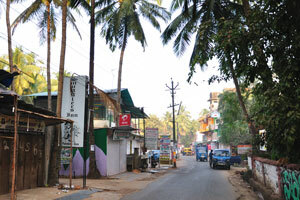 You can see the arched entrance to the beach in the far end of road. 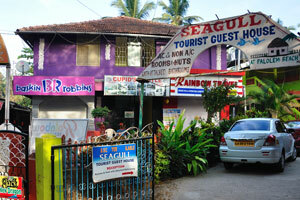 Seagull tourist guest house, laundry service and bikes on hire. 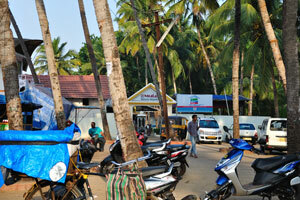 Parking near Palolem Beach Resort. 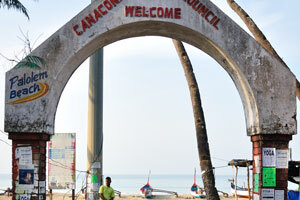 The Arch of the Palolem beach (Canacona Municipal Council, 1995, Welcome). 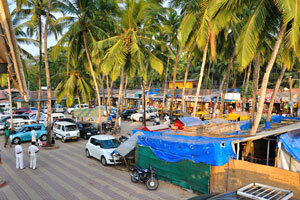 Palolem village view from the Safeguard tower. 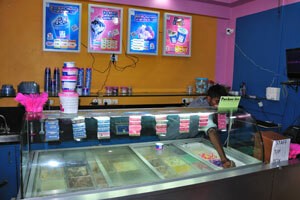 Om Sai shop and Kwality Wall's ice cream. 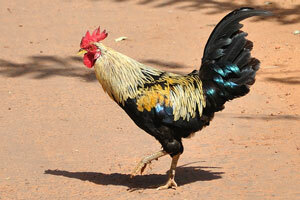 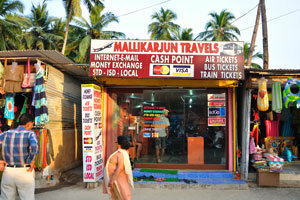 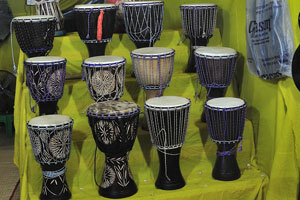 Mallikarjun Travels - Internet, money exchange, air tickets, bus tickets and train tickets. 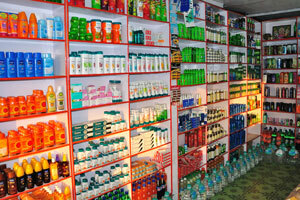 Dattakrupa store: Wake up to beautiful skin with Himalaya Revitalizing Night Cream. 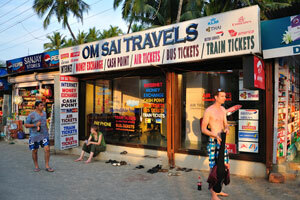 Om Sai Travels: Internet, money exchange, cash point, air tickets, bus tickets, train tickets. 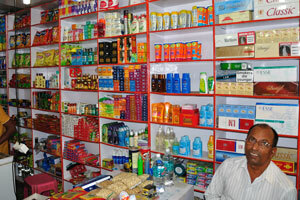 Assortment of this shop consists from sun creams, toothpastes, soaps and different cosmetics. 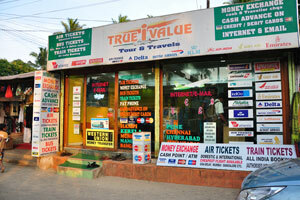 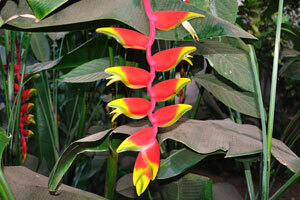 True i Value Tours & Travels, domestic & international cheapest flight available, cash point (ATM). 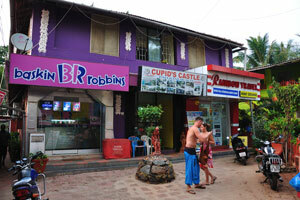 Baskin Robbins and Rainbow Travel. 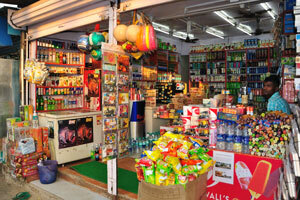 Red Rose Wine Shop, shop with alcohol assortment. 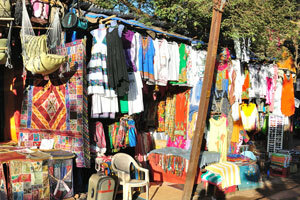 Store with bags and clothing. 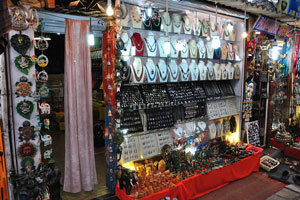 Shop with tea and souvenirs. 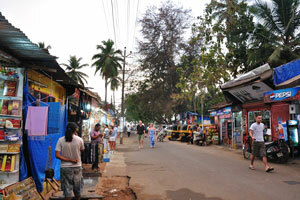 Palolem village just after sunset. 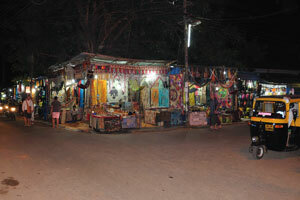 Bus station in the evening. 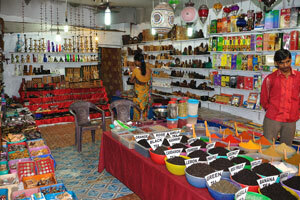 Tea and souvenirs everywhere around you. 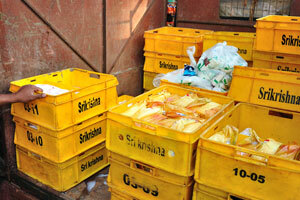 Milk and curd are always fresh and tasty here. 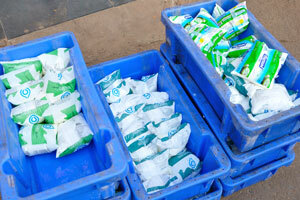 You can buy curd and cottage cheese at very cheap price here. 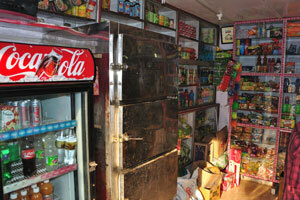 Metallic refrigerator to keep milk products. 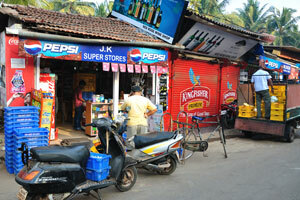 J.K super store isn't very large and isn't superstore, it is a small shop with milk and bread. 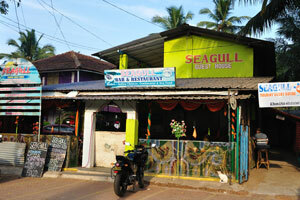 Seagull Bar & Restaurant: Indian, Chinese, Continental and Sea Food. 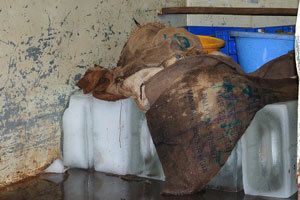 Ice for grocery shops and restaurants. 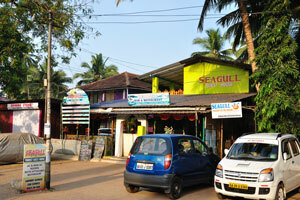 Baskin Robbins is very close to Seagull Guest House. 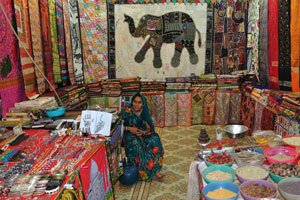 A man engaged in embroidery. 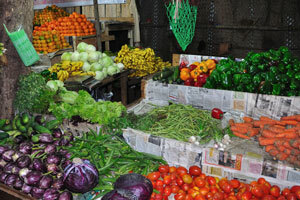 Vegetables and fruits: purple cabbages and yellow bananas. 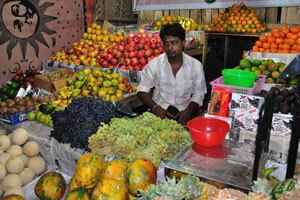 Fruits: honeymelon, grape, papaya, mango, kiwi, pomegranates, apples and passion fruit (maracuja). 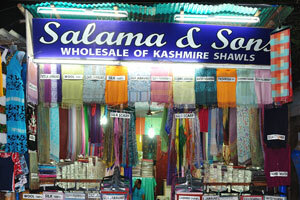 Salama & Sons: wholesale of kashmiri shawls. 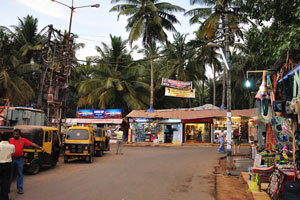 Bus station in the beginning of the night. 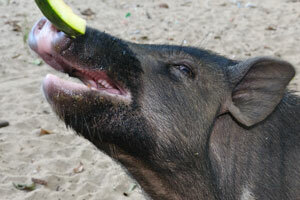 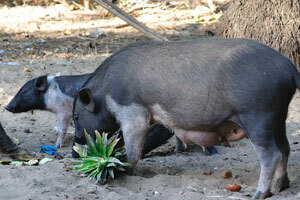 Vietnamese pigs are eating our pineapple. 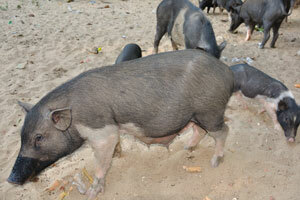 Female vietnamese pig is ready for milk feeding. 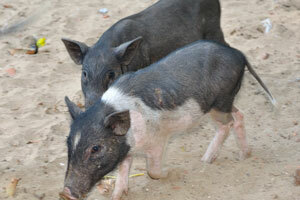 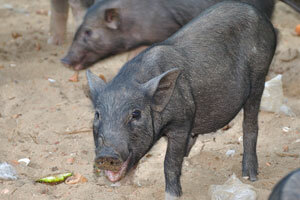 Baby vietnamese pigs in Goa. 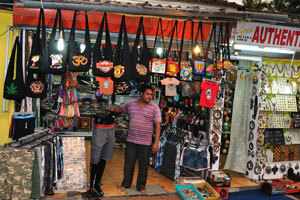 Different clothes, bags and tiny hammocks on sale. 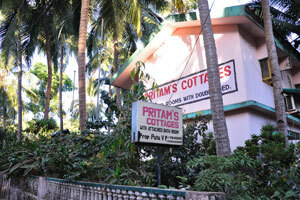 Pritam's Cottages with attached bathroom and double bed. 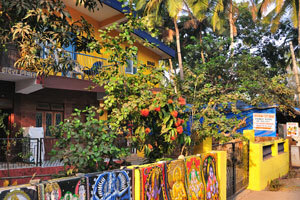 Two-storey building of the Pritam's Cottages. 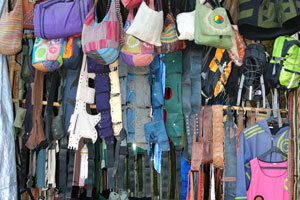 Cloth bags and belts with embroidery. 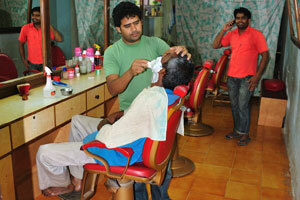 Barber shop: barber in the work process. 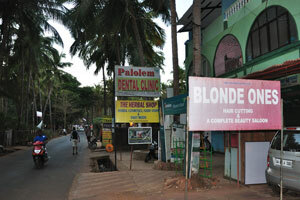 Blonde ones: Hair Cutting & A Complete Beauty Saloon. 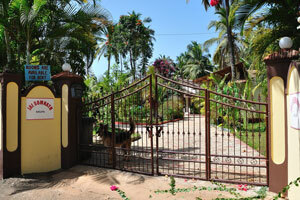 Flowers and palms before the entrance to Wavelet Beach Resort. 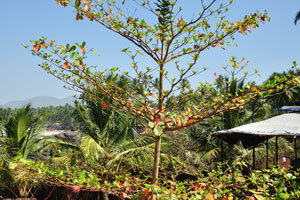 Village is full of exotic trees like this one. 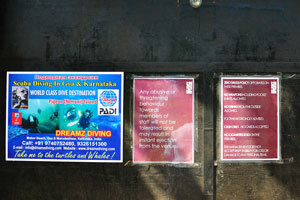 Scuba Diving In Goa & Karnataka. 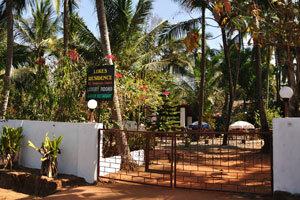 Entrance to the Neptune Point cottages. 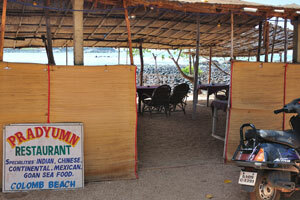 Pradyumn Restaurant on the Colomb Beach. 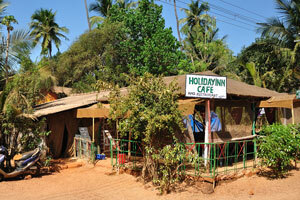 Holiday Inn Cafe & Restaurant. 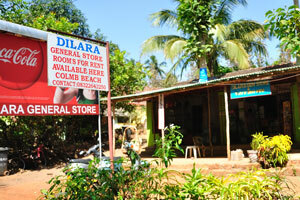 Dilara General Store near the Colomb Beach. 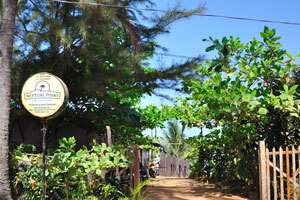 Luke's Residence, 8/2 Tembewada Colomb, garden restaurant. 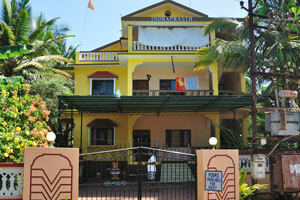 Indraprasht, rooms available for rent. 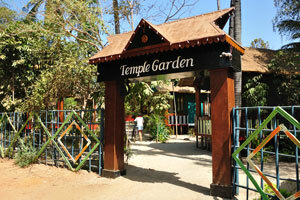 Jai Somnath Krupa, rooms are available for rent. 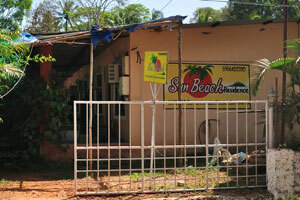 Sun Beach Residence, tel. 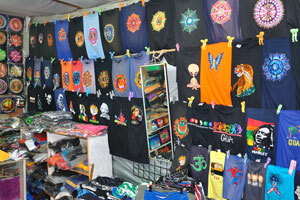 9766453395. 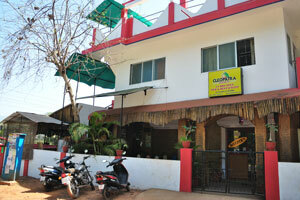 Cleopatra Resorts, 24 hours open restaurant, A/C and non A/C rooms. 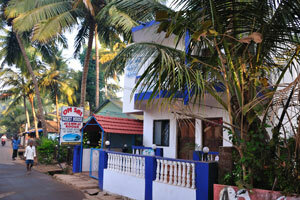 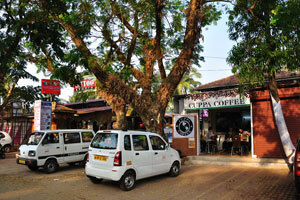 Palolem Dental Clinic and the Herbal Shop. 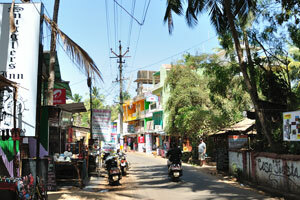 Sunny village rests in the shade of palms in the noon. 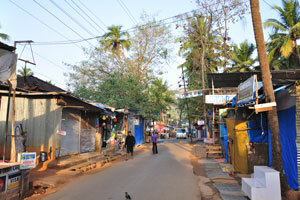 Center of the village, not far from the bus station. 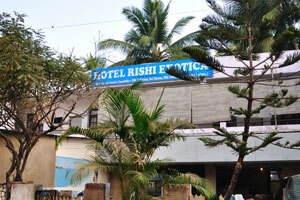 Reception of the Rishi Exotica Hotel. 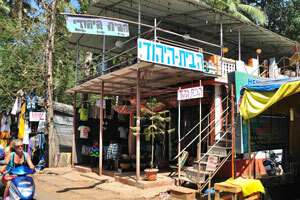 Israeli restaurant is on the second floor.